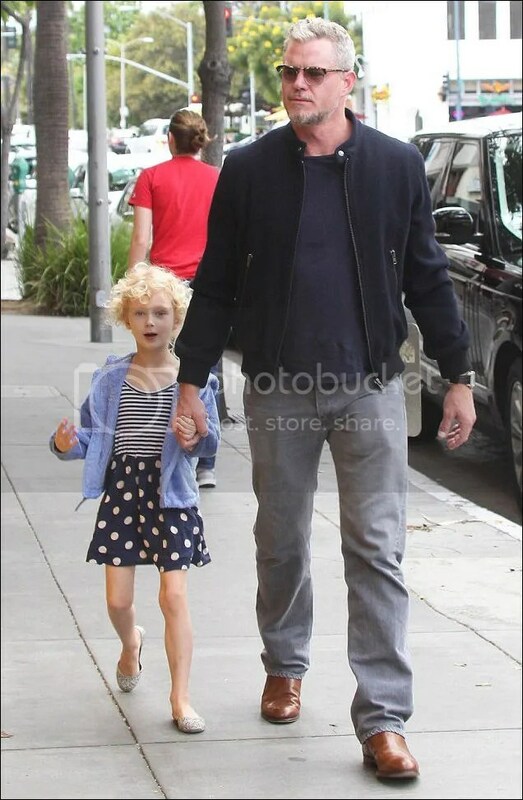 Actor Eric Dane and daughter Billie Beatrice, 5, were spotted heading to Tom’s Toys in Beverly Hills on Friday, May 22nd. He is also dad to daughter Georgia Geraldine, 3, with wife Rebecca Gayhart. This entry was posted in Dad and Baby Photos. Bookmark the permalink.